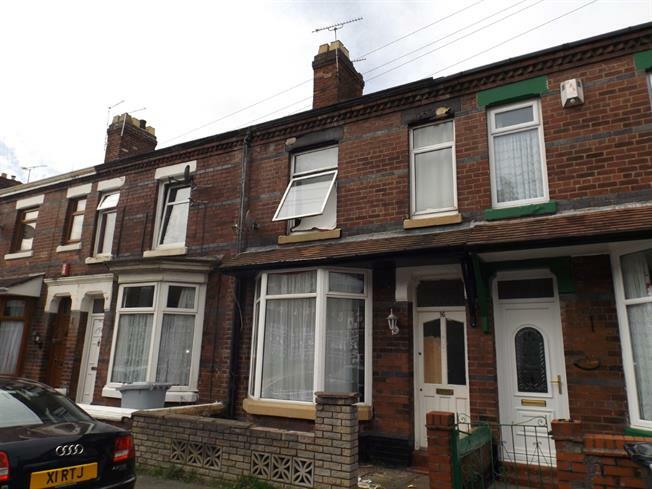 3 Bedroom Terraced House For Sale in Crewe for Asking Price £70,000. This three bedroom terraced house is ideally located for easy access to the shops, schools for all ages, and a children's park. The accommodation is most spacious and has retained some original features, such as, coving and ceiling roses. The accommodation briefly comprises: entrance hall, lounge and dining room in an open plan design. The kitchen is located to the rear and there is a useful WC. To the first floor there are three bedrooms and a family bathroom. Outside there is an enclosed yard.